(by Emily Jacobs, New York Post) — …Iran’s capital city of Tehran has banned walking dogs in public, according to the BBC, as part of a years-long effort to discourage dog ownership. 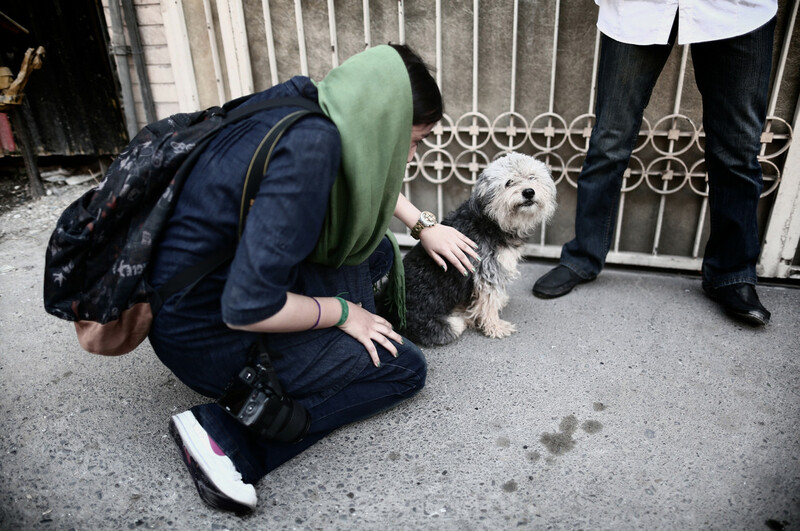 In addition to dog walking, driving with a dog in a car was also being banned by Tehran’s Prosecutors Office, Tehran Police Chief Hossein Rahimi told state-run news agency Young Journalists Club. Rahimi said that the new law would, in fact, be enforced, saying Tehran’s police “will take measures against people walking dogs in public spaces, such as parks,” according to a translation of the interview by the BBC. “It is forbidden to drive dogs around in cars and, if this is observed, serious police action will be taken against the car owners in question,” Rahimi added. Dog ownership, as well as bringing dogs in public, has been an impassioned, controversial issue nationwide since the 1979 Islamic Revolution in Iran. Iranian officials say dogs are perceived as “unclean” according to Islam, as well as a symbol of Western ways of life in the Middle Eastern country. Many of Iran’s Islamic authorities view owning dogs as a pet as representative of the ousted monarchy. Rahimi said the ban was enacted because dogs were “creating fear and anxiety” among Iranian citizens. Starting in the early 2000s, police began “periodic crackdowns” on dog ownership, confiscating ordinary citizens’ canines right off the street, according to Time Magazine. The publication also reported that Iranian state media had begun lecturing citizens on the diseases spread by dogs around that same time. The BBC reports that Iran’s Ministry of Culture and Islamic Guidance banned the media from airing or publishing advertising for pets or pet-related products in 2010. There have been numerous attempts by Iranian officials to criminalize dog ownership through the years, according to the New York Times. Back in 2014, The Guardian reported that lawmakers had proposed punishments ranging from small fines for owning a dog, to lashes and flogging for a dog owner if they were caught walking their pet in public. Published at NYPost .com on January 29. Reprinted here for educational purposes only. May not be reproduced on other websites without permission from the New York Post.